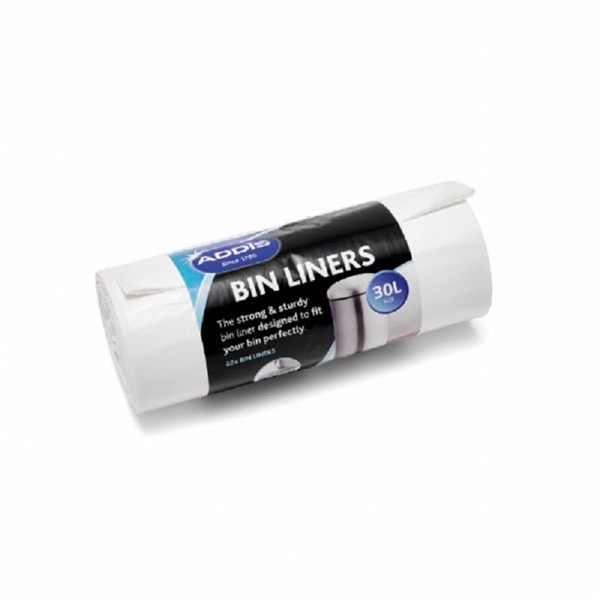 These strong and sturdy 30 litre bin liners have been specially designed to custom fit our 30 litre soft-close 30 litre Addis stainless steel pedal bin. They have been tailored to ensure the liner is completely hidden from view when the lid is closed to prevent the issue of a messy overhang. 20 liners are included in one roll. Made from Recycled Linear Low density Polythene.